Who Are Those Snowbirds, Anyway? When the weather turns cold and the snow starts to fall, there a some people who make the decision to head South for the winter. 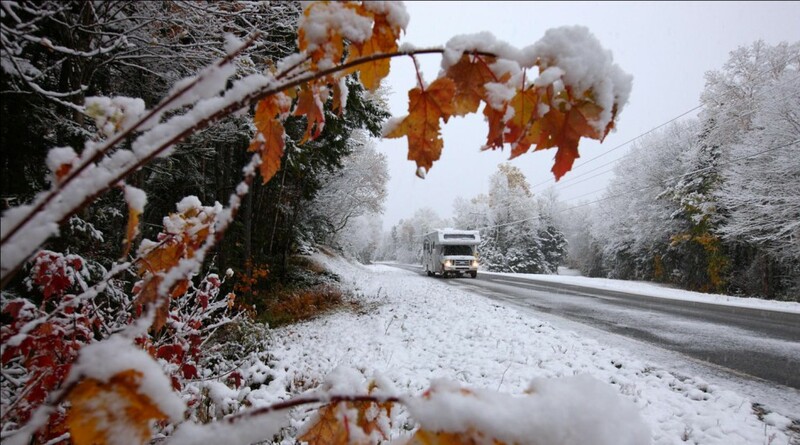 A good many snowbirds are retirees who wish to avoid the snow and cold temperatures of northern winter, but enjoy spending their time with family and friends by staying north the rest of the year. Snowbirds are also known to use RVs as their main living quarters when they head South. A great option for this is a motorhome. Two of the motorhomes that would work for full time living are a Class A or a Class C motorhome. 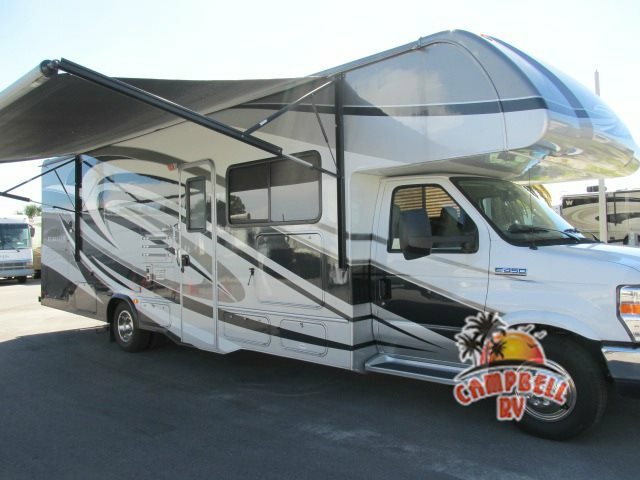 Campbell RV has great choices for both of these motorhome types. Let’s explore which could be right for you! When the snow flies, it’s time to head South for the winter! A true home away from home, a Class A motorhome will give you the space you are looking for. With lengths up to 45 feet, these RVs are large enough to include a master suite and full bath, multiple slide-outs, and great entertainment systems. Some even have a fireplace! There is so much “basement” storage, you could stow enough supplies to keep you on the road permanently. It would be best for you to tow a small vehicle with you, making it easy to explore once you reach your destination. Although maneuvering is a learned skill and it doesn’t get great gas mileage, a Class A is a great option for a snowbird to enjoy a warmer climate. The Coachmen Pursuit is a great example of a Class A motorhome. The other size motorhome for snowbirds is the Class C motorhome. Built using a standard cargo van, the driving portion is easily accessible from both sides of the camper. Generally the length is around 20-33 feet and don’t include quite as many amenities as a Class A due more of a restricted space. However, you still have everything you need with the availability to sleep up to 6. The over-cab bed usually is a roomy king or queen size. The Class C has a full bath and includes closet space for your belongings. Another perk of the smaller overall size motorhome is that you can get you into secluded and more enjoyable campgrounds. A great looking Class C-the Forest River RV Forester. No matter where the road leads you, when you are a snowbird, as long as the weather is warmer, you are a happy camper. 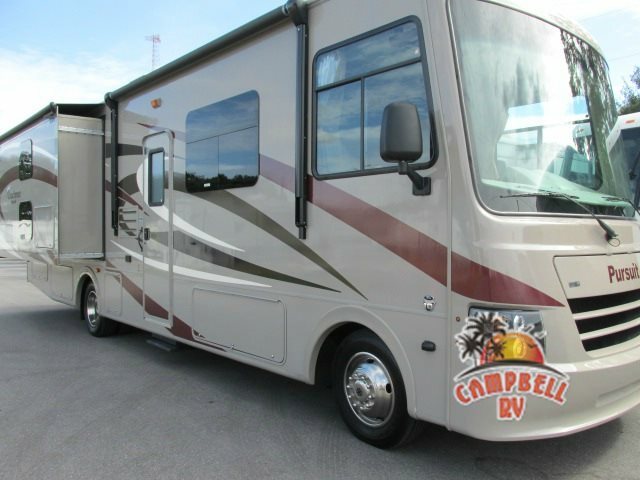 Let Campbell RV welcome you to warm weather and keep you comfortable. Contact us today to explore our great selection of motorhomes! RV Tow Guide: How Much Can You Tow? RV Extended Warranty Now Available! Spring into Your Favorite Florida RV Camping Destination!